You may have seen our post about our picnic using Primula cheese earlier this summer but squeezy cheese isn't all Primula do, they actually have a tasty range of dips too! We were sent some of the Primula dips range to try in a variety of flavours. I knew these would be a hit as me and hubby regularly enjoy some crisps and dip in front of a dvd on a weekend so these would be a lovely treat. The flavours we received were Sour cream and chive, Garlic and herb, Spicy nacho cheese, Spicy salsa and Thai sweet chilli. All of the dips offered a creamy dip that was packed full of flavour. As soon as you opened the lid the flavour hit you and you could really taste each flavour within the dips. 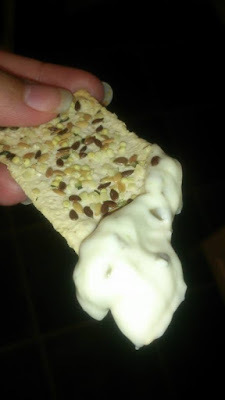 The creamy texture made them great for dipping too! My personal favourite was the Spicy Nacho cheese, initially I was worried that the dip may be a little too spicy but it really wasn't! The rich flavour of nacho cheese was packed in to the dip with a subtle hint of spice that gave it a little kick. Absolutely delicious especially with lightly salted Doritos! My husbands favourite flavour was the garlic and herb (although he said the sour cream and chive came a close second). 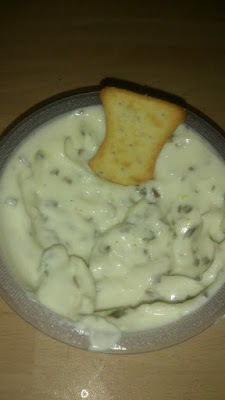 The dip had a smooth creamy texture had a cool, fresh flavour that went well with crispbread, Doritos and the bread sticks we tried with it. My only small issue with the dips is that they have a peel off lid which is fine but sometimes you don't finish the whole pot but as it doesn't have a reusable lid you have nothing to cover it with to keep it fresh. However we just used a small piece of foil to cover them but it would have been nice to have had a reusable lid. 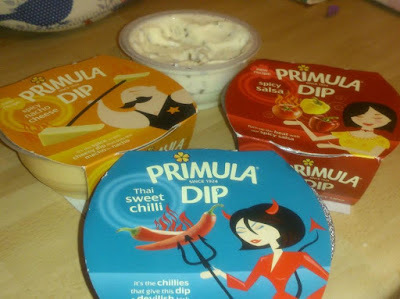 Over all we really enjoyed the Primula dips, they would make a great addition to a variety of situations such as a fun snack or for a dvd date night and they would make a great addition to any buffet table along with a variety of crisps, breadsticks and crispbreads as there is certainly a flavour for everyone! What is your favourite dip flavour?